This handsome Art Deco piece was designed by the sculptor Mercier. 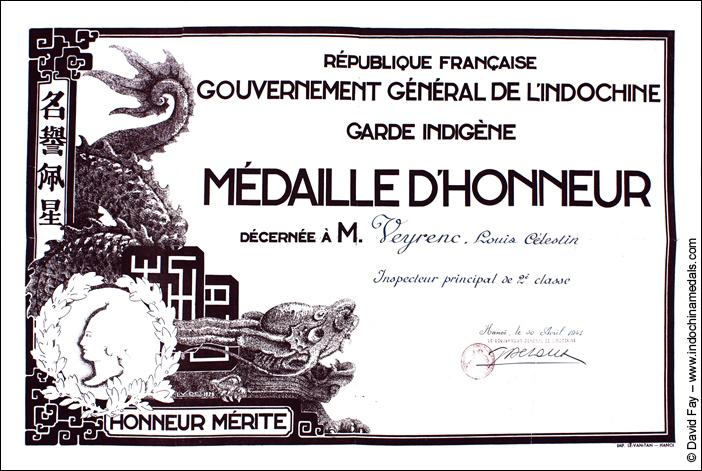 80 medals (and 100 Francs a year) were to be given annually to Europeans and 600 medals (and 10 Paisters a year) to natives. 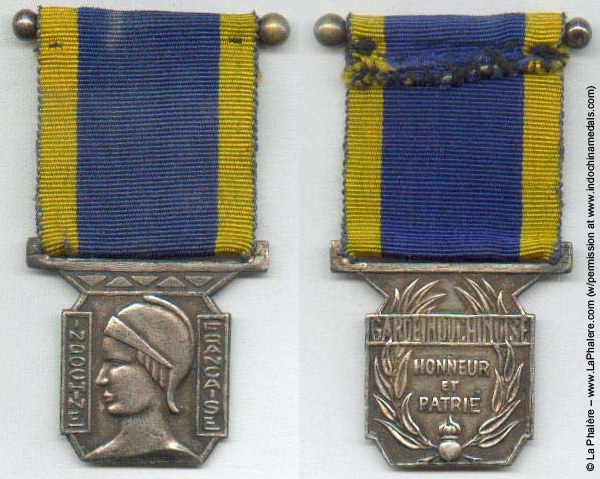 It is reported that the records of Col. Sculfort for the Colonial Exposition of 1931 note this award in version B for the members of the then named Garde Civique who participated in the Exposition. 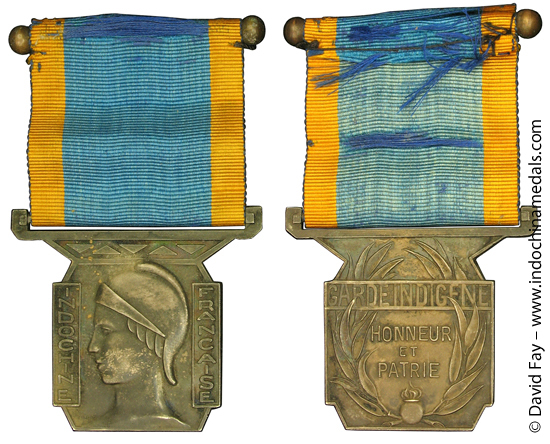 Design: Reverse: inscription above reads "GARDE INDIGENE"
Design: Reverse: inscription above reads "GARDE CIVIQUE"
Design: Silver, Bronze; Reverse: inscription above reads "GARDE INDOCHINOISE"